Beautiful, mysterious, and rare, Panamanian golden frogs have been revered as good-luck tokens in their native country of Panama since pre-Columbian times. Panamanian golden frogs are native to the wet rainforests and dry cloud forests of the Cordilleran Mountains that run like a spine through western-central Panama in Central America. Panamanian golden frogs that live in wet rainforest habitat spend much of their time near mountain streams, perched on moss-covered rocks or climbing in vegetation a few feet above ground level. Those frogs that live in the drier cloud forests are more likely to be found on the forest floor, not necessarily near water. All golden frogs are diurnal, or active during the day. Panamanian golden frogs do some vocalizing – a short chirp when grabbed, a soft trill when calling – and will turn in the direction of other frog calls. This would not be extraordinary except for the fact that Panamanian golden frogs have no external ears with which to hear! They may detect sound instead through their lungs, which are located just beneath the skin and vibrate when sound waves hit them.  This is similar to what happens in certain fish, whose air-bladders (lung-like organs) vibrate in response to sound. Panamanian golden frogs expose themselves by day to predators such as snakes and birds, but their brightly colored skin serves as a warning. Their skin is toxic if ingested, and this serves as a powerful deterrent to most predators. To other animals, their beauty is the mark of a poisonous animal. Panamanian golden frogs have also left their mark on the culture of their native land. The golden frog is to Panama what the bald eagle is to the United States: a national cultural symbol. Panamanians take pride in this rare and beautiful species, and all Panamanians know the golden frog through myth and folklore and by seeing its image everywhere – on signs, posters, t-shirts, trinkets, even lottery tickets. Few Panamanians have actually seen a golden frog in the wild, however. Panamanian golden frogs mate between November and January, during the time that is their late rainy and early dry season. Throughout much of the year, females move into the forests while males remain in or near streams. Males wait for the females to return and then try to attract mates by hand waving. Females hand wave as well. This hand waving – known as semaphore – is a remarkable behavior seen in only a few frog species. Perhaps not surprisingly, all of these frog species live near mountain streams where the roar of rushing water drowns out most every other sound! Male golden frogs wave off other males that encroach on their territory as well as females not yet ready to mate. A female will wave aggressively at any male that approaches her, as if testing his resolve. If he appears discouraged by her waving, she will not mate with him. If he perseveres despite her waving, she will mate with him! Once a male attracts a female mate, he attaches himself tightly to her back and will piggyback for several days and even weeks until she finds a suitable place to lay her eggs. She looks for a shallow pool of streamwater, preferably out of direct sunlight, with rocks or pebbles in it. She lays a single, long strand of eggs that attaches to a rock or pebbles. As soon as she lays her eggs, the male fertilizes them. The couple then disbands and, like most amphibians, will take no part in raising their young. About nine days later, tadpoles hatch out. They spend six to seven months in the streams where they hatched, eating algae off rocks and growing into froglets. The froglets are brown and tiny when they first hop out of the water and onto a nearby leaf. They continue to eat and grow once on land, gradually changing color and pattern, and building up toxins in their skin. Birds, snakes, and fish are traditional frog predators, and they have preyed on their fair share of Panamanian golden frogs and tadpoles. A much more lethal predator arrived on the scene in recent times, though: the amphibian chytrid fungus, otherwise known as Batrachochytrium dendrobatidis or Bd. The amphibian chytrid fungus thrives in cold mountain streams and causes a disease known as chytridiomycosis that has proven deadly to many amphibian species, including golden frogs. In just over a decade, Panamanian golden frogs have declined more than 80%, and this can be attributed overwhelmingly to the fungus. To date, amphibian chytrid fungus has wiped out all remaining populations of Panamanian golden frogs in the wild and has killed off entire populations of amphibians in isolated regions of Central and South America, Australia, New Zealand, Europe, and the United States as well. Bd is not the only threat to Panamanian golden frogs, though. They have always, and continue to be, threatened by over-collection for local zoos and hotels, as well as for the pet trade. They are also threatened by habitat loss and degradation caused by logging and agricultural development. Panamanian golden frogs are listed as critically endangered, and may actually be extinct now in the wild. They are not alone. A staggering one-third of the nearly 6,000 amphibian species known to science are currently at risk of extinction. The rate at which amphibians are vanishing from the planet far outpaces similar rates for birds and mammals. This is particularly alarming because amphibians are “environmental indicator species” — extremely sensitive to environmental change, and the first to flourish or decline in the face of change. The worldwide decline in wild populations of frogs, toads, and salamanders observed in the past several decades has come to be known as the Global Amphibian Crisis. Amphibians face a host of threats that scientists believe are converging to create the “perfect storm” of extinction. Habitat loss remains the most serious threat, but pollution, disease, climate change, and over-collection for the pet trade are also significant. Some of these threats can be mitigated through legal and physical protection of species, but many – such as the amphibian chytrid fungus — cannot. Fortunately, there is still great hope for the Panamanian golden frog. Hope lies in continued efforts to protect and preserve golden frog habitat, and in captive breeding programs as well. Biologists began to recognize decades ago, well before the arrival of the amphibian chytrid fungus in Panama, that this frog was in trouble. The response was Project Golden Frog, a conservation initiative begun in the 1990s that brings institutions in the Republic of Panama and the United States together in common cause. 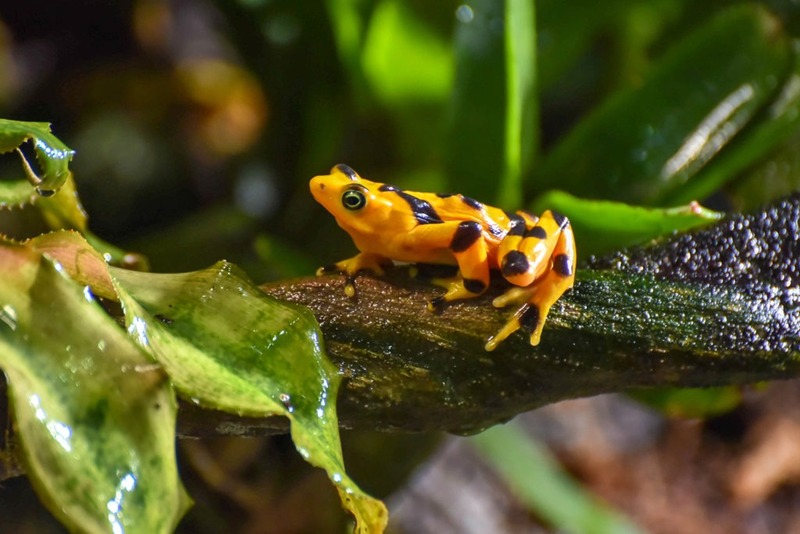 Since 1999, The Maryland Zoo has been partnering with other scientific, educational, and zoological institutions in North America and Panama on Project Golden Frog. The Maryland Zoo was the first institution to successfully breed Panamanian golden frogs in captivity, and continues to lead all other institutions in the successful breeding and management of this species. This zoo bred several of the “founders” of the North American captive population and continues to distribute tremendous numbers of offspring to other zoos and aquariums for perpetuation of the species.